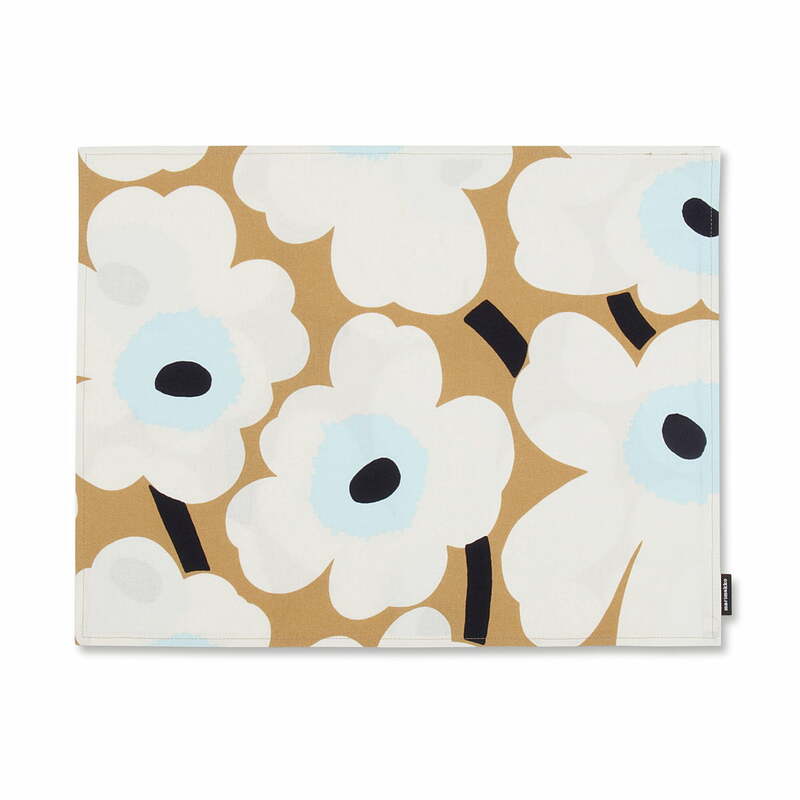 Made of PVC-coated cotton, the Marimekko placemat is pleasantly soft so it can be rolled up without any problems and is thus easy to store. Splashes and stains are also easy to wipe off with a damp cloth after a meal. Pieni Unikko is a smaller version of the famous Unikko pattern that Maija Isola designed in 1964 for Marimekko. For Pieni Unikko ("small poppy"), Kristina Isola, the daughter of the Finnish design icon, reduced the flower pattern to a smaller scale. This ensures that the flowery print can also have its full effect on the 43 x 31 cm placemats.